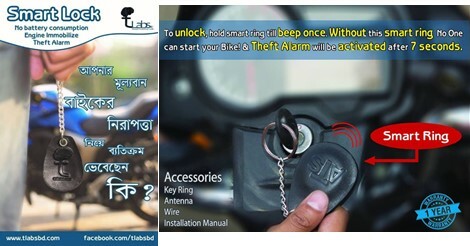 ATS (Anti Theft System Device) is small device that is used for Bike Security available in Bangladesh. It is a smart lock for bike which is designed to protect bike from theft by making a combination of Key and Device together. 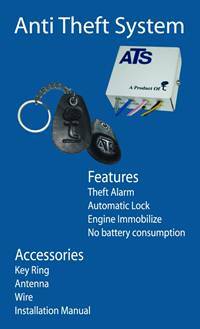 Features include theft alarm, automatic lock, engine immobilize, no battery consumption. ATS is now available in different outlets in Dhaka. It will start only when both device and key are kept together. Get it now from available outlet in Dhaka. Get ATS ( Anti Theft System) Device for Bike Today!